I am honored to be at Santa Clara High School and thankful for the wonderful opportunity to serve your son/daughter’s educational needs. I want to welcome you to a great school with over 100 years of history, tradition and faith. I feel very fortunate to be a part of this history and an outstanding community. I earned my Associate of Arts degree from Oxnard College and transferred to California State University Northridge. I majored in Kinesiology and earned my Bachelor of Science degree with Honors. I continued my education and earned my teaching credential at Michael D. Eisner, College of Education at California State University Northridge. I completed my teaching credential program , earned my Master of Arts Degree in Educational Leadership and earned my Administrative Services Credential from Azusa Pacific University. I taught at Monroe High School, Winnetka Middle School, Isbell Middle School and at Santa Paula High School prior to Santa Clara High School. I grew up locally in the beautiful city of Santa Paula, California. My family is my number one priority. We have been blessed with two beautiful children who keep me busy during my spare time. I enjoy coaching basketball, traveling and spending time outdoors. My goals as a teacher/mentor/coach/administrator is to make a difference in my community and especially, with my student’s, to help them achieve their goals while promoting sportsmanship, discipline and self-respect. Mr. Ranney is in his fourth year at Santa Clara High School. Roger spent his formative years in Indiana. He attended the University of Central Florida where he also played football for the Knights. He graduated with a bachelors degree in social science education. ​Prior to joining Santa Clara's staff, Roger taught PE and was the Athletic Director at Saint Finbar School in Burbank. He was also an assistant basketball and football coach at Notre Dame High School in Sherman Oaks. Roger is married to Laura and has two wonderful children. He enjoys music, being outdoors and spending time with his family. Oxnard Police Officer Eduardo M. Miranda began his career with the Oxnard Police Department in 2000 and ascended to the rank of Police Commander in 2012. During his career, Commander Miranda has worked numerous assignments which include Storefront Officer, Property Crimes Detective, Sexual Assault Detective, Beat Coordinator, Violent Crimes Detective, Patrol Sergeant, Special Services Sergeant, and Special Projects Commander. He is currently assigned as a Patrol Commander as well as the East and South District Commander. His current collateral assignments include the Neighborhood Policing Team, School Resource Officers, Patrol Communications, and Chaplain Corps. Commander Miranda currently serves as a Board Member for Santa Clara High School. He is a former Vice-President of the National Latino Peace Officers Association – Ventura County Chapter (NLPOA), Oxnard Peace Officers Board Member, former El Concilio Del Condado de Ventura Board Member and has many professional affiliations such as LULAC, NAACP, ASPA, PERF, FBI-LEEDA, Cal Chiefs, and IACP. He was also nominated and selected as the Oxnard Police Officer of the Year in 2006. He received the President’s award from El Concilio Del Condado de Ventura for Community Service in 2009. Commander Miranda has a Bachelor’s Degree in Sociology from the University of California, at Santa Barbara, a Master’s Degree in Public Administration and Doctor of Policy, Planning, and Development from the University of Southern California. He is a graduate of the Los Angeles Police Department Leadership Program (formerly West Point Leadership). He completed the Leadership in Crises: Preparation and Performance Executive Education Program at the Harvard Kennedy School of Government. He was born and raised in Ventura County and currently resides in the City of Oxnard. He has three children with his wife, Roxanne, who is a seventh/eighth grade teacher at Fremont Junior High in Oxnard. 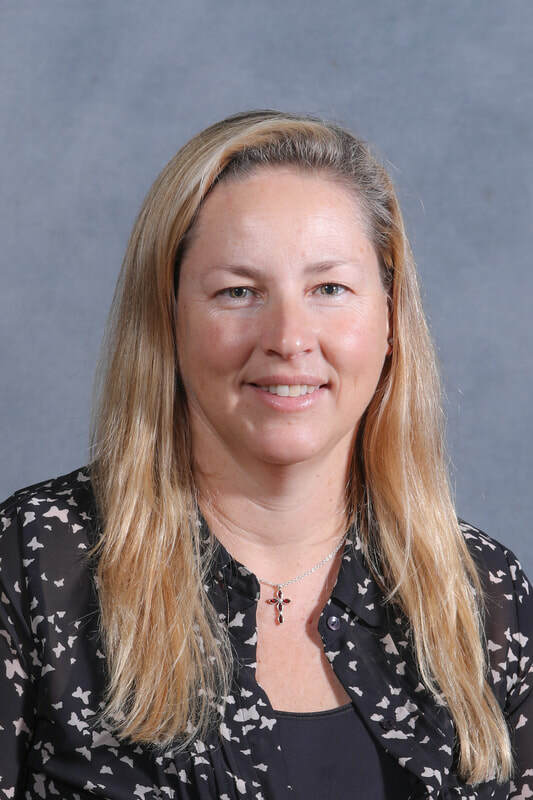 Mrs. Eileen Huber brings over 11 years of experience in college counseling working with high school students through their college planning and application process as well as with community college students planning for transfer to four-year universities. She has presented numerous college planning programs for organizations in Ventura County – from local parent groups to private schools groups and lunchtime workforce presentations at the county government center. She completed the College Counseling Certificate Program at UC San Diego and is a member of both the National and Western Associations of College Admission Counseling – professional collaborations of high school college counselors and college admission officers. Mrs. Huber graduated from Cal State Hayward (East Bay) with a BS in Nursing. She served in the US Naval Nurse Corps for 20 years of active and reserve time. She and her husband, who retired from the Naval Surface Warfare Center at Port Hueneme, enjoy traveling to visit their four children who live around the country. Mrs. Huber enjoys getting to know the students and parents at Santa Clara High School and helping them prepare for the next step in their education. Ms. Teresa Palmisano is in her 8th year at Santa Clara High School. A Ventura native, Palmisano, a student-athlete (basketball, tennis and track) in high school and an All American in basketball, graduated from Buena High School with an athletic scholarship to the University of California, Berkeley. A four year starter and two time All American at Cal, she earned a bachelor’s degree in Mass Communications. After pursuing a professional basketball career (1992-2006) and winning championships along the way, in Europe and the United States, she earned her master’s degree in Physical Education from Azusa Pacific University. Prior to joining Santa Clara’s staff, Palmisano was the Director of Women’s Basketball Operations at Gonzaga University from 2009-2011. She was the 1st Assistant Women’s Basketball Coach at California Lutheran University during the 2008-2009 season. Employed by the Ventura County Community College District from 2006-2010, Teresa taught in the Physical Education & Athletic Department at Moorpark College. Teresa Palmisano, inducted into the Ventura County Sports Hall of Fame in 2006 and the University of California Athletics Hall of Fame in 2010. Being an alumna of Santa Clara High School, I am excited to return as a teacher and have the opportunity to give back that which was given to me. During my years and Santa Clara High School, I was a student-athlete playing volleyball, basketball, and softball. I went on to play basketball and softball at Ventura College. I received my Bachelor's of Arts degree in Liberal Studies from Cal State Channel Islands. I then went on to receive my credential and Master's degree in Education from Azusa Pacific University. I have been teaching for the past eleven years in the Junior High Department at Santa Clara Elementary School. I taught Language Arts for seven years and then Math/Science for the past four years. I was also the Math Department Chair and Science Fair Coordinator. ​Ivan Barahona has been an educator for 17 years. Mr. Barahona has taught middle and high school science. He was the dean of students at Pacific Hills school for the past 5 years. He is a graduate of California Lutheran University where he was a member of the men's basketball team. Mr. Barahona also coached basketball at Pacific Hills guiding the team to 4 CIF championships and a state title in 2013. He is currently the Head Coach of the El Salvador Men's National team leading them to a silver medal in the Central American Olympics in 2013. Ivan is married to Olga Barahona. They have 3 children; Ivan Jr.(13), Eva (11) and Marcus(1). Mr. Barahona enjoys spending time with his family, playing golf and basketball. Ms. Kathy Mack is in her 3rd year at Santa Clara High School as the Campus Minister and Religion Teacher. She graduated from Cal State University Northridge earning a Bachelor of Arts degree in Psychology and a Master’s degree in Psychology from Cal State University, Los Angeles. She obtained a Catechesis Certification from the Archdiocese of Los Angeles. Ms. Mack has 25 years of experience in Catholic Education. She began her career at Pinecrest Elementary School (1985-1987), St. Bridget of Sweden (1987-1992), St. Bonaventure High School (1992-2011) and Crespi High School (2011-2013). Ms. Mack educational philosophy is to respect each individual and know that everyone has something to give. She is here at Santa Clara to do God’s work. Ms. Mack enjoys watching movies and gardening. ​I look forward to building relationships with the past, present and future generations. Ms. Alcala is beginning her 12th year at Santa Clara High School teaching Biology, Chemistry, and Physics. She is also the Junior Class Moderator and the moderator for NHS and CSF. An alumna of Santa Clara, Ms. Alcala enjoys teaching at her alma mater because she is committed to giving back to her community. She enjoys the small school atmosphere, and she truly believes that Santa Clara provides the best environment for students, while also providing them with a Catholic Education. Ms. Alcala believes that everyone can succeed, but it’s what you do with your success that matters. Ms. Alcala graduated from Cal State University, Northridge, where she earned a Bachelor of Art degree in Biology. She also obtained a Master’s degree in Teaching with an emphasis on Instruction and Curriculum from the University of Saint Mary. Ms. Alcala enjoys spending all her time with her three beautiful boys, Mickey, Eli, and Apollo, who are the highlight of her life. She aspires for each of them to become Saints! After studying mathematics at CSUN, Alex Lanza traversed the treacherous 126 highway and discovered Santa Clara High School. With a knowledge and interest of math, he aspires to assist the school in any way possible. While this is his 3rd year at Santa Clara, Alex has instructed students in mathematics for over 8 years, in settings ranging from private institutions to his university’s mathematics lab. Mr. Ramirez is an alumnus of Santa Clara High School excited to begin his journey as an educator. He has been involved with the Santa Clara community as a baseball and football coach since 2012. 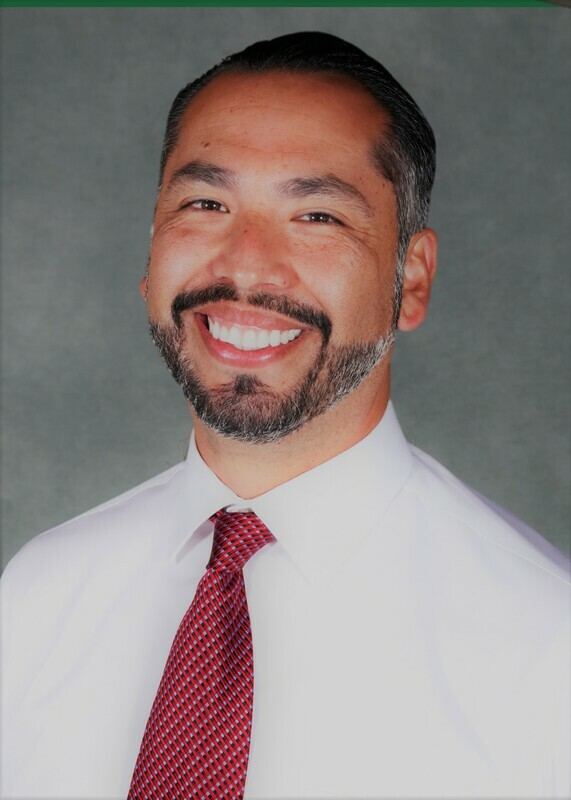 After graduating from Santa Clara, Mr. Ramirez attended and graduated from Oxnard College with an Associate of Arts Degree in Social and Behavioral Sciences. Following, he transferred and received his Bachelor of Arts in Sociology from California State University Channel Islands. Currently, Mr. Ramirez is attending California Lutheran University in pursuit of a Master of Science in Counseling and Pupil Personnel Services with PPS Credential. Mr. Ramirez’s mission is to advocate for, motivate, and serve students by providing them with valuable information and persistent support, which will benefit their academic success and social/emotional well-being. Ms. Hernandez begins her first year at Santa Clara High School as the athletic trainer and science teacher. Prior joining SCHS, Ms. Hernandez was an assistant athletic trainer and adjunct faculty at College of the Canyons. She holds a Bachelor of Science degree in Athletic Training from Cal State North and a Master of Science degree in Health and Rehabilitation Sciences with a concentration in Sports Medicine and Nutrition from the University of Pittsburgh. While in Pittsburgh, she served as an assistant athletic trainer for the Pittsburgh Ballet Theatre and Pittsburgh Youth Lacrosse. She is excited to be back in a high school environment to aid students and athletes to see and achieve their potential now and in their future as well-rounded citizens. ​In her free time she likes to support the performing arts and her Anaheim Ducks! Miss Morgan is beginning her first year at Santa Clara High School and her fourth year of teaching. She teaches English 1H, World History, Advanced Placement European History and Government/Economics. She attended Pepperdine University where she earned a Bachelor of Arts degree in English with an emphasis in literature and theory. She is completing her Master’s degree and teaching credential at the Pepperdine Graduate School of Education and Psychology. Miss Morgan is excited to join the Santa Clara family and give all she has to offer in hopes of inspiring a love for history and English. She is focused on the holistic well being of her students, in addition to their academic success, and her door is always open to all who need her guidance. Miss Morgan has played club soccer and basketball, as well as high school soccer, basketball, field hockey, cross country, track, and water polo. The love of competition is in her blood, so expect to see her attending many Saints sporting/competitive events. Miss Morgan’s passions (besides teaching) are weight lifting, healthy eating, baking for her loved ones, playing/watching sports (Go, Dodgers! ), and anything that has to do with the beach. My name is Esperanza Rothwell and I’ve had the privilege of teaching and coaching since 2013. After teaching both elementary and middle school, I am excited to continue my teaching career at Santa Clara High School. I am a math and a social science teacher as well as an assistant coach for the softball program. I grew up in Port Hueneme, CA and attended Missouri Valley College in Marshall, MO where I studied Elementary Education. As a Santa Clara High alumni, I have many fond memories of this wonderful school. I am so glad to be back and hope for a great year! Go Saints! Mr. Taylan is beginning his first year at Santa Clara High School. He teaches Religion 9 and 10. Prior to joining the Santa Clara Family, Mr. Taylan had spent time in discerning for the Roman Catholic Priesthood serving as a Religious Missionary and Seminarian for 9 years living overseas where he earned his BA in Philosophy from Mater Redemptoris College in the Philippines. Moreover, further discernment led him back home to California where he continued his Theological Studies for 3 1/2 years as a Seminarian for the Archdiocese of Los Angeles at St. John's Seminary in Camarillo. After much prayer, Mr. Taylan realized that God was calling him elsewhere to serve Him in a special way...to teach. Mr. Taylan feels humbled and blessed to be part of a School that is rich in Faith and Tradition. He is an Oxnard native and graduated from Channel Islands High School. Mr. Taylan is passionate about his faith and strives to integrate every aspect of it in his daily life. He enjoys music, prayer, playing basketball, golf, volleyball, and spending time with friends and family. ​I am honored to be taking on the role of international education instructor (English Language Development) for Santa Clara High School. I have graduated from UC Santa Barbara in 2011 and have majored in Psychology and Anthropology with a focus in international studies and educational psychology. For the past 9 years I have been working with educational organizations and institutions in a variety of aptitudes. I have taught ESL in Taiwan, International Education in Santa Monica and have worked for a study abroad organization in Japan. I enjoy working with international students at many age levels, with a majority of my focus being in the high school and college range. This is my second year working with Santa Clara High School and my first year taking on the teaching role. I have also been working in conjunction with The Cambridge Network and Santa Clara High School facilitating our international student home stay program. I enjoy many outdoor activities including surfing, biking and hiking around our beautiful coastline and mountains. I am a California native with a passion for international education and support services. I look forward to a fulfilling year and many successes to come. As an alumnus of Santa Clara High School, Mr. Laubacher is excited to return as a teacher and give back to the community. During his time as a student he participated in multiple sports, was a National Honor Society Member, and served on his senior Associated Student Body board. ​He is a proud graduate of Saint Mary’s College of California, where he was the first student to earn his B.S. degree in Global Business Administration. Having gone through sixteen years of catholic schooling he understands the inherit value that a catholic education provides its students. Mr. Laubacher’s goal as a teacher is to spark the students’ imaginations about the wonders of learning. He will provide a classroom environment conducive to conversation that will challenge the students to grow as intellectuals and individuals. Mr. Laubacher enjoys spending his free time reading, travelling, listening to music, and playing golf…terribly. To be a Saint is a way of life! My name is Mr. Jose Abraham Pina and I am very excited to start my 2nd year at Santa Clara High School. I will be teaching Spanish I, II, III at SCHS. I'm also the head coach for the SCHS girls soccer team. I graduated from University California Santa Barbara in 2001 with a Bachelor of Arts in History. I then, went on to the Teaching Credentials Program at Cal State Channel Islands. I have been in the public school system for over 12 years working in the lower level grades. ​I am an Oxnard native who graduated from Channel Islands High School where I played soccer, track, and cross country. ​In my spare time I enjoy to coach soccer, watch sports, and spend time with my family. Ms. Marquez is starting her 2nd year teaching and 7th year coaching at Santa Clara High School. She graduated from California State University Channel Islands with a Bachelors in English and Performing Arts Theatre. She will be receiving her Master's Degree in Physical Education from Azusa Pacific University December 2018. She is currently the Director of Activities, Head Girls' Basketball coach as well as teaching English and P.E. Ms. Marquez is passionate about the art of reading and writing, and the importance of living an active lifestyle. ​I am thrilled to return to the Santa Clara High School family! I will be teaching Junior and Senior English (including AP Language/AP Literature), as well as coaching track and field, sponsoring the SCHS Cadet program, and serving as the Freshman class moderator. I received my B.A. in Philosophy from St. Mary's College of California, and am currently completing research for my M.Ed. in Teacher Leadership at California Lutheran University. I have spent time working for small businesses, large corporations, and have been serving as an officer in the California Army National Guard for seven years. I spend my off time with my family as much as possible, running unreasonable distances, and camping as often as I can. In addition to focusing on the intellectual and aesthetic goods found in our rich literary tradition, my classes will incorporate elements of real world problem based learning to provide students with an environment to develop mental agility, teamwork, and leadership abilities. I have a deep love for the community of Santa Clara High School and once again, am thrilled to be serving you. Mrs. Ramsey is thrilled to be back at Santa Clara teaching 10th and 11th grade English. Rejoining the Santa Clara family is always a pleasure. A lover of the all things adventure, Mrs. Ramsey spends her time hiking, finding (and photographing) off the beaten path oddities, and experiencing new things. Her greatest joy, however, is spending time with her husband and two kids. As an alumna of Santa Clara High School, Ms. Silveira is excited to return as a teacher and give back to a community that is based in faith, family and tradition. As an Art, Physical Science, and Geography teacher, she is excited to instill a passion for education to all Saints. Prior to working at Santa Clara Ms. Silveira worked in public safety, as well as home health. Ms. Silveira received her Bachelors in Communication with an emphasis in Non-profit and Business, as well as a minor in Art. When not teaching, Ms. Silveira can be found somewhere outdoors like hiking in the Santa Monica mountains, or at the local softball fields coaching. Mr. Jonathan Henricksen is beginning his first year as teacher and Athletic Director at Santa Clara High School. Although, he is not new to the school community, Mr. Henricksen has served as Boys Soccer Coach for the past few years. He currently teaches Physical Science, Physical Education, and Psychology and is very excited to be a part of his Alma Mater. He graduated from the University of La Verne and earned his degree in Business Administration. Mr. Henricksen has a deep connection with the community growing up in Oxnard, CA majority of my life. Mrs. Gonzalez is in her second year here at Santa Clara High School as the school Registrar. She graduated from Ventura College with an Associates in Natural Sciences and later attended and graduated from Pharmacy Technician School. She received her Pharmacy Technician license and has worked in Pharmacy for the last 19 years in both retail and home infusion pharmacies. An Alumna of Santa Clara High School, Ms. Ellis is excited to become part of the Administrative Team and working to support future Alumni of SCHS. An Oxnard native, Ms. Ellis received an Associate Arts Degree in Liberal Studies from Moorpark College and then pursued at 30 year career in mortgage lending while raising her two children. “I am truly blessed and I will be forever grateful to my parents, who instilled strong family values and who provided a Catholic education for their five children from K-12 grades.” All were graduates of Santa Clara High School. Ms. Ellis has been active on the SCHS Alumni Executive Board beginning in 2013 and is currently serving as Board Secretary. She is also a member of the Santa Clara Parish Choir since 2014. She enjoys live theatre, spending time with family and close friends, cheering for the Saints at athletic events and a good mystery novel. Roderick Hutchinson first came to Santa Clara High School as a baseball coach in 2002. A year later, he accepted a position in the maintenance department. He is currently the Plant Manager, as well as running the baseball program. His love for the game has kept him coaching for the past 25 years throughout Ventura County. He is also an associate area scout for the Chicago Cubs, and runs their collegiate scout team during the summer months. Coach Hutch was born and raised in Louisiana, where he attended Southern University on a baseball scholarship. In 1985, he came to Oxnard to visit his sister and her family, and decided to stay. He is married to Amber, and is the proud father of Trevor, Marcus, Roderick, Kyla, and Miles. He still enjoys playing baseball on Sundays with his friends. Mrs. Luna is celebrating her 4th year employed at Santa Clara High School. She studied abroad and graduated with a Bachelor of Arts degree in International Commerce at Universidad Internacional, S.C. at Monterrey, Mexico. Before coming to Santa Clara High School, Mrs. Luna worked for the private sector in the divisions of business and administration. ​Mrs. Luna was born and raised in the San Joaquin Valley. Of humble background, Mrs. Luna grew up in the farm working community. She believes that no matter what hurdle life throws at you; if you are true to yourself and focused you will thrive.